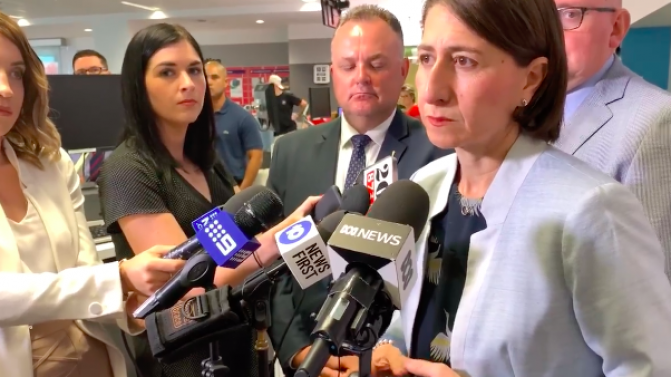 It’s a saga that’s as ongoing as it is tiresome, but now NSW Premier Gladys Berejiklian and the state government have released a statement saying that their widely criticised – and confusing – new music festival regulations are indeed confusing. The risk assessment, which comes into play on March 1, proposes that festivals will have to tick off a checklist of requirements, and then will have to approved by a panel that consists of the state’s police, gambling, alcohol, ambulance and health departments. Part of the confusion around the assessment has come from Bluesfest, which Berejiklian has called a low risk event due to the fact its demographic skews older. However, by the standards of her own new regulations, it should be deemed “extremely risky”. Now, the government has released a statement accepting the confusion, and offering some clarification. This clarification comes after artists like Peking Duk and Northlane directly called for the voting out of the Liberal state government for their “war on festivals.” It also follows the announcement of the ‘Don’t Kill Live Music’ rally, happening next Thursday in Sydney. Read the NSW government’s full statement here.